Am not talking about internet connectivity. Am talking about offline, real world connectivity - Roads. Yes, you read it right - Roads. Roads help region(s) progress & prosper with the rest of the country or world. We the Citi-zens keep complaining about road conditions. I agree that we are entitled to do so, as we pay our taxes year-on-year. What about those who are living in villages or semi-urban areas, have you given a thought about them. 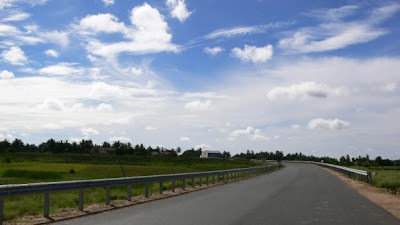 I have travelled extensively by Road across Karnataka, Tamil Nadu, Kerala and I feel the three states fair well in the terms of connectivity to remote areas. Over the last couple of months have heard stories from people or read articles about Roads & how it changes lives. First story was from a friend who spent time living with a family during his travel. The family originally from a farming background faced a lot of hardship earlier. Currently, the family is happy with a highway cutting through their fields. They didn't mind giving a piece of their land, for a token price, for betterment of lives all around. They have prospered well & leading a decent life. Second story was from my colleague who did his studies from Sikkim. As another colleague was travelling to Gangtok earlier this month, this colleague was giving him travel tips. I was surprised to hear that there is ONLY one main road which connects Sikkim with rest of the country and that is via Silliguri, Darjeeling, Kalimpong. Unfortunately, the only road was affected very badly during the Sikkim earthquake and people had to face a lot of hardship. The update being, Sikkim will soon have their first civilan airport. Definitely, Armstrong Pame is a harbinger of change who has brought happiness to those living in Tousem. The idiom, "It takes one to know one" fits very well here. "After writing my IAS exam, I came to Tamenglong in 2007. Since I had seen hardship in my childhood, I decided to visit 31 villages of Manipur on foot to see how the people live," said Pame. "In 2012, I became SDM of Tousem. I traveled to many villages and saw how people were carrying sacks of rice on their backs, walking for hours, and patients being taken on makeshift bamboo stretchers due to the non-availability of motorable roads. 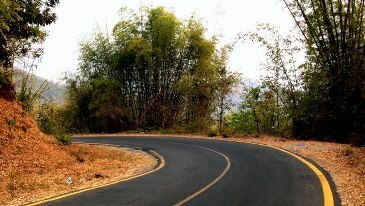 When I asked villagers what they wanted me to do for them, their only wish was for a road," he said. Indeed he is the miracle man for having understood the basic problem of people & providing solution for the same. Another Statesman whom I can recall is Atal Bihari Vajpayee. A true visionary, who knew how to collectively take the country forward than just one specific region or state. Am referring to GQ | Golden Quadrilateral project which connects 4 metros & major cities along the route in an integrated manner. In January 2012, the GQ was officially announced as complete. How I wish the political class showed some common sense & interest in solving basic problems like roads, sanitation, drinking water, education, etc for everyone above everything else. I hope people of my state - Karnataka, will caste their vote in a sensible manner for a right candidate over a party.